The Maryland Department of Natural Resources invite the public to attend an open house 11 a.m. to 4 p.m. Sept. 9, 2018, at the Woodmont Lodge in Washington County. 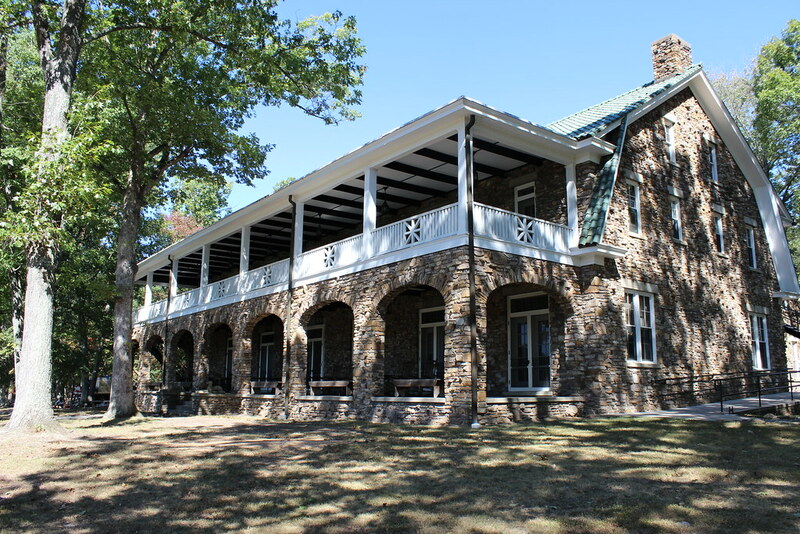 The annual event at the Woodmont Natural Resources Management Area allows guests to tour the 18,785-square foot lodge, a building rich in architecture and history, and its picturesque surroundings while hearing vivid stories of its past. Staff and volunteers will be on hand throughout the day to speak about the early days of conservation and wildlife management in Maryland, and animals from the Maryland Park Service Scales and Tales program will be present to educate and entertain patrons. The 3,400 acre Woodmont property features a 3.5 mile hiking and mountain biking trail. The trail provides access to the forest interior for birding, nature photography, wildflowers and other outdoor recreation opportunities. A naturalist will lead a 2-mile hike at 1 p.m. Sept. 9 along Woodmont Trail. Hikers should prepare appropriately for wilderness conditions (no restrooms) and meet at the trailhead parking lot (GPS: 39.650158, -78.293890) along Woodmont Road. Built in 1930, the massive three-story fieldstone structure features enormous beams, huge stone fireplaces, and wood paneling and floors. Great leather chairs, bear skin rugs, photographs of special guests, including presidents, and hundreds of game trophies still fill the majestic rooms. Woodmont Lodge sits on the grounds of what was formerly the Woodmont Rod and Gun Club. There is no service fee for the open house and registration is not required. Donations may be made to The Friends of Fort Frederick State Park and earmarked for Woodmont. Disabled access is limited. For more information, please contact 301-842-2155. The address is: 11761 Woodmont Road, Hancock, Maryland 21750. GPS: 39.630317, -78.300669.